Community Environment Days make it easy to keep your home – and our city – clean and green. You can drop off reusable household items, household hazardous waste, and recyclable materials that can’t go in the Blue Bin at any of the events, starting in April. Compost is also available free of charge. Last week, the City of Toronto unveiled new raccoon-proof Green Bins for houses that will work with automated trucks (& reduce worker injury). Watch how raccoons deal with the original green bin versus green bin 2.0! Starting in June 2015, Toronto residents will be able to recycle a wider range of plastic bags in the Blue Bin. Thanks to better sorting technology, and a growing plastic recycling market, Toronto will collect bags such as those for fruit, bread, milk, dry cleaning and more. This will increase the City’s diversion rate and save money. 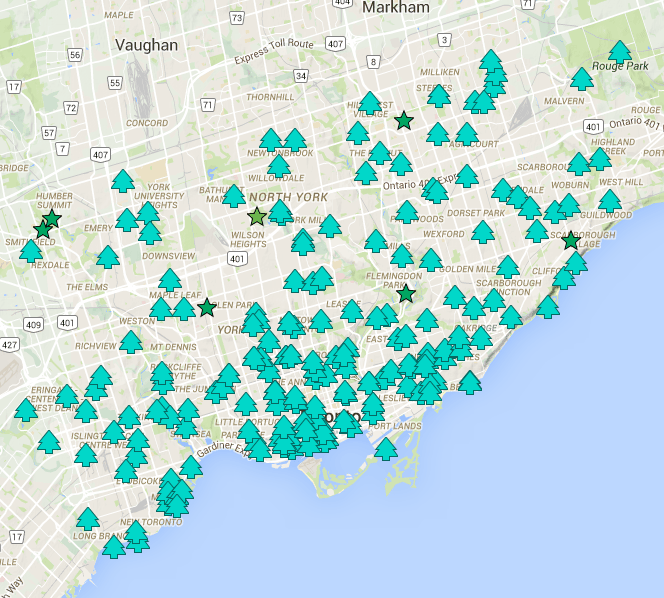 There are over 200 community clean-ups in Toronto parks.